Soft Skull Press, 9781619024588, 176pp. At age thirty, Kyle Boelte finds himself living in San Francisco, where the summer fog blows inland off the ocean and the landscape changes moment to moment. 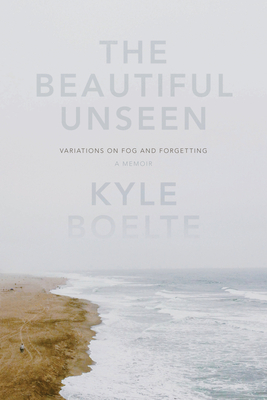 Amidst this ever-changing sea of fog, Boelte struggles to remember his brother Kris, who committed suicide in the family's Denver home when Boelte was just thirteen. In this impressive debut, Boelte sets up a dual narrative: one investigates San Francisco's climate to explain the science behind the omnipresent fog; another explores Boelte's memory as well as letters, notes, newspaper articles, and other artifacts that tell the story of his brother's short life and eventual suicide. Weaving a complex and engaging story from personal, historical and environmental threads, Boelte's search for meaning takes him to a range of unexpected places: from San Francisco Bay circa 1901, when fog was responsible for routinely sinking steamships, to a cavernous medical library where he studies the grim details of asphyxiation and death by hanging; from the redwood forests where scientists are now learning about fog's ability to sustain life, to a beat-up cardboard box containing memories of his long-dead brother. The Beautiful Unseen is as much a meditation on experiencing loss at an early age as it is a study. Kyle Boelte was born in a small town on the high plains of Kansas, grew up near Denver, Colorado, and moved to San Francisco as an adult. A finalist for the Annie Dillard Award, his writing has appeared in Orion Magazine, The Rumpus, and High Country News.